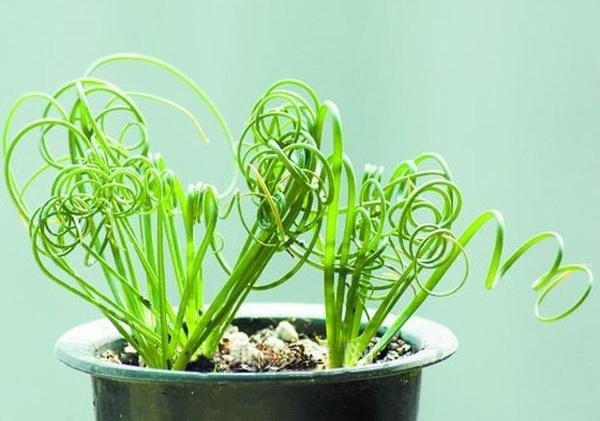 Share the post "The curly plant Moraea tortilis: The Spiral Grass"
Lovely and unusual plant Moraea tortilis, or Spiral Grass is a bulbous plant known for its very unusual and ornamental twisting and curly leaves that resemble a corkscrew. Native to limited regions of Namibia and South Africa, Moraea tortilis is a hardy and drought tolerant plant. This member of the Iridaceae family was described by Peter Goldblatt in 1977. In cultivation, it can be propagated in a well-drained soil and under sunny exposure. 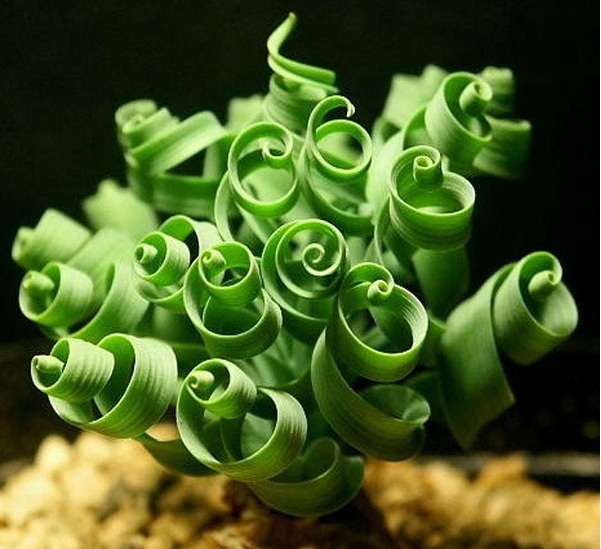 The bulb usually grows up to 2.5 cm in diameter with several twisting and curly leaves that grow up to 10 cm. The succulent and glossy leaves of Moraea tortilis are light-green providing a beautiful background to its white or purple-blue flowers with yellow spots that appear in spring till late summer. Flowers are usually short-lived but add dramatic effect to the intriguing beauty of its spiral leaves. Reproduction: Seeds. Can be grown indoors as well as outdoors provided that it receives plenty of sunlight, moderate water and a regular but granular soil mix. Known for its beautiful, spiral leaves, Moraea tortilis makes an excellent ornamental houseplant grown in pots or hanging baskets. As the name suggests, it is not actually a grass but serves as a nice low-growing plants for containers. 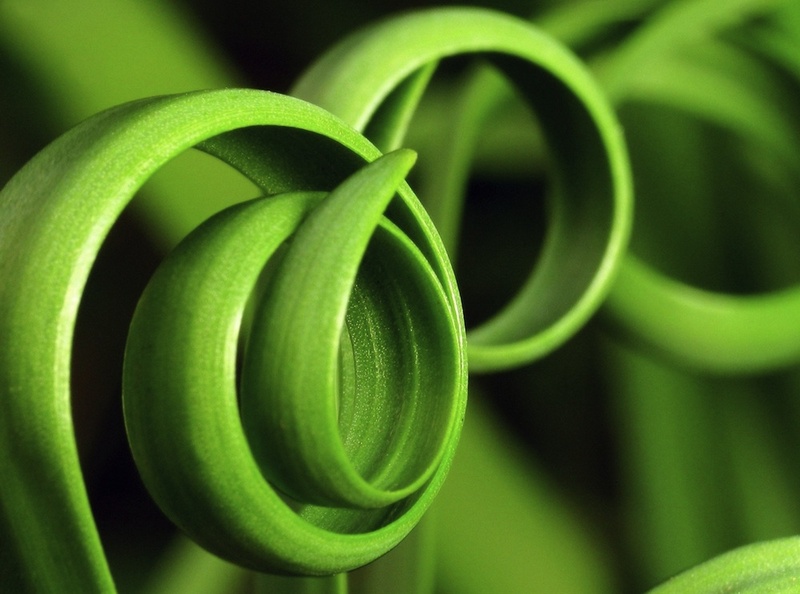 Do you grow Moraea tortilis, or Spiral Grass in your garden? What is your experience with this plant? Please share in the comments below! 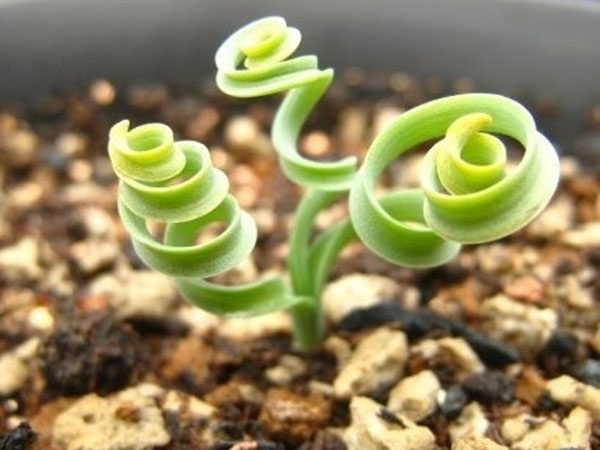 Do you sell Moraea tortilis, or Spiral Grass seeds or have plants for sale? You can place your advertisement here. Contact us now!